Friendly people, world-class wines, unspoiled farmland, historic sites, and a quaint and charming downtown district - you’ll find all this and more in the beautiful city of Salinas. The city is renowned for being the hometown of Nobel Prize recipient and author John Steinbeck. Visitors can visit his childhood home, The Steinbeck House, and the National Steinbeck Center museum which houses an array of artifacts relative to the author. Though the original Laguna Seca Raceway was built in 1957, the local people’s love affair with world-class racing began long before that. Today, the 11-turn, 2.238-mile track right beside California’s stunning central coast is one of the most visited places in Salinas. The WeatherTech Raceway Laguna Seca is a favorite with racers and fans worldwide and is renowned for Turns 8 and 8A, popularly known as The Corkscrew. The hard-left, hard-right combination is spectacular mostly because of its 59-feet drop from the entrance of the first turn to the exit of the second; that’s a 5½ story drop in only 450 feet of track length. Dedicated to the works of Nobel Prize recipient and author John Steinbeck and his legacy, the National Steinbeck Center is a place for people to participate, get inspired, be educated, and to understand one another. The nonprofit museum opened in 1998 and houses an array of items such as newspapers, first edition books, interviews, and artifacts pertaining to John Steinbeck. The National Steinbeck Exhibition Hall is designed as a journey through Steinbeck’s “Valley of the World”, allowing people to experience the places he lived, traveled, and wrote about. During the journey, you’ll see displays of his novels and other writing as well as participate in several hands-on activities. Experience the birthplace and childhood home of Nobel Prize recipient and author John Steinbeck at The Steinbeck House. The Queen Anne style Victorian home was built in 1897 and was purchased by the Steinbeck family in 1900. Now, the site is home to a charming restaurant where visitors can enjoy a delicious lunch in the rooms where the famed novelist grew up. Information-filled tours are available throughout the week; during the tour you’ll be able to see many personal artifacts as well as period furnishings. Afterwards, head to the exciting Best Cellar gift shop to take back interesting and unique souvenirs including vintage Steinbeck books. The Monterey Bay Equestrian Center offers a full range of exhilarating horseback rides, whether you’re in the mood for a romantic horse-drawn carriage or a ride along the beach. 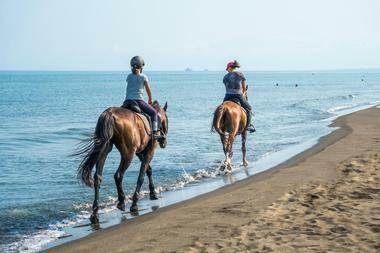 The center has been around since 1981 and their horseback ride on the beach is one of their most popular offerings. You’ll be able to explore the shoreline along Monterey Bay and take in the stunning views. All rides are individually tailored to the requests and abilities of the rider, no matter if you’re a beginner or more advanced. Rides can last anywhere from an hour to an hour and a half; be sure to bring along your camera because you’ll want to capture the beauty you’ll be surrounded by. Located a few miles away from downtown Salinas, Toro County Park first opened to the public in 1971. Spanning nearly 5,000 acres, the park has been a haven for the thousands of residents and visitors that head there each year. The pastoral setting is the perfect place to spend the day outdoors with your family; you can even take a picnic along. 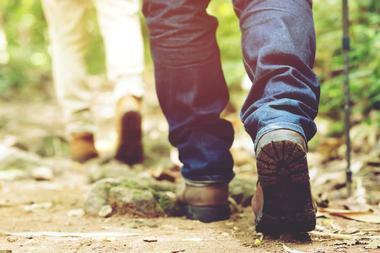 There are so many facilities for outdoor enthusiasts such as a playground, two softball fields, volleyball courts, horseshoe pits, and over twenty miles of trails for hiking, mountain biking, and horseback riding. Some of the wildlife that you may come across while at the park include golden eagles, deer, and coyotes. Get up close with amazing wild animals from all around the world at the Monterey Zoo. Its natural setting is home to an array of exotic animals and meeting them is sure to be an unforgettable experience for visitors of all ages. Some of the animals you’ll get to see as you adventure through the zoo are African lions, Bengal tigers, black bears, African elephants, zebras, camels, alpacas, and more. For a more unique visit, schedule one of the zoo’s tour packages; popular options include their Daily Tour which is an hour-long, guided walk through the exhibits and the Pachyderm Tour which gives you a chance to socialize with the elephants and even give them a bath. The Farm is a local farming business and an agricultural education center that can be found in Salinas, California. There are many things for you to see and do during a visit there including going on a farm tour, participating in many of their events and activities, purchasing fresh organic produce, and just enjoying the lovely rural destination. Their group tours are 45 minutes to an hour long and will let you get an understanding of farming in the Salinas Valley and day-to-day operations on the ranch; a walk through the fields and a fun hayride is also included in the tour. During your visit, be sure to stop by the Farm Store and the Farm Bakery where you can purchase everything from kitchen wares and artisanal soap to freshly baked pies and cookies. 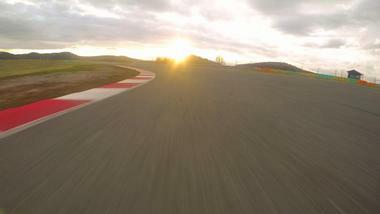 Allen Berg Racing School is home to the world-famous WeatherTech Raceway Laguna Seca. With its rich history, premier location, and spectacular track layout, the track is one of the most popular race venues in the United States. You can get behind the wheel and indulge in your need for speed in the 2.238-mile course, much of which is filled with fast straights, high-speed banked turns, challenging technical corners, and serious elevation changes. Drivers and racing fans come from all over the world to try the track’s famed “Corkscrew” turn which is a curve that drops six stories from entry to exit. 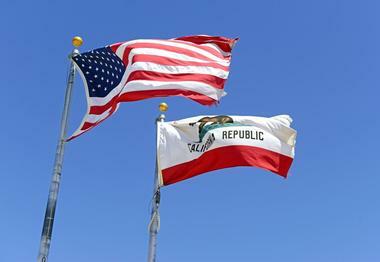 There’s no better place to start your vacation in Salinas than with a trip to the California Welcome Center. At the center you’ll find detailed information in the form of brochures and promotional materials that’ll guide you on things to do and places to visit while you’re there. You’ll be able to take virtual tours of different attractions in Salinas such as the Monterey Bay Aquarium or the National Steinbeck Center, which will allow you to get an idea of what’s in store. Don’t leave the welcome center without a couple of unique souvenirs and mementos to commemorate your vacation. An intimate family-owned winery, Odonata Wines South is the passion of owner and winemaker, Denis Hoey, come to life. He blends old-world methods, which he learned from mentors and through his travels to Europe, with new techniques and quality ingredients to create balanced, rich wines that are full of taste and texture. The success of Odonata Wines South is the attention to detail given in each step of the winemaking process from grape sourcing and fermentation to barrel selection and aging. No trip to Salinas is complete with a relaxing day spent touring the winery and sampling their selection of current releases. The Salinas Valley Art Gallery has played an important role in the community since it was established in 1976. The artist cooperative brings fine arts to the residents and visitors of the Central Coast, giving them a place to enjoy several different art forms. You can visit the gallery at any of their usual times or stop by for special events such as their Salinas First Friday Art Walk. Experience the stunning works of jewelers, photographers, glass artists, sculptors, potters, textile artists, print makers, and painters such as Ed Avila, Ruth Carroll, Elsie Dill, and Susan Dunklau. The Salinas Sports Complex is an 80-acre horse race ground that was established in Sherwood Park in 1911. Over the years, the site evolved into a year-round sports complex that not only includes the grandstands but also an eighty-stall equestrian barn, two baseball diamonds, a practice soccer field, and five softball fields. It is an integral part of the community and is often the location of various festivals, concerts, and other events. Staying true to its origin, the sports complex is famed for being the home of the California Rodeo Salinas with several events such as the PRCA/ Professional Rodeo, horse shows, Miss California Rodeo, freestyle bullfights, and more. 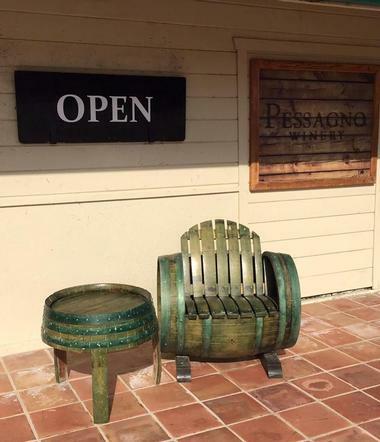 Renowned for their exclusive luxury wines, the Pessagno Winery is widely recognized as one of California’s finest wine producers. A visit to their winery and tasting room is always a treat and you’ll learn all about the elegance and distinct character of their wines. You’ll be able to try and purchase some of their current releases such as a 2006 Sweet Valley Port, 2012 ‘Due’ Premium Red Blend, and a 2013 Pinot Noir which has delicious traces of red cherry and strawberry. There are several events held at the winery throughout the year; the Pessagno’s Summer Concert Series is extremely popular and will give you the opportunity to listen to amazing artists, indulge in delicious foods, and of course, have the perfect glass of wine. The Ventana Wildlife Society is a non-profit organization that was founded in 1977. 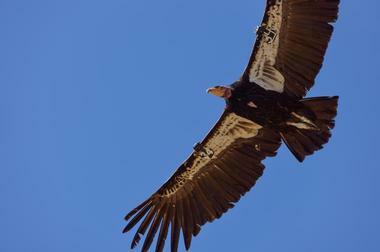 Their main focus is on the recovery and care of wild condors that can be found in central California. You’ll enjoy going on one of their tours; the two-hour-long Condor Tour will take you down the coast to see stunning endangered California Condors and along the way you might even see whales and other wildlife. You’ll learn so much about these amazing vultures during the time you spend with the experts at the Ventana Wildlife Society. You’ll be able to delve into the work they do with bald eagles and other wildlife like snowy plovers, spotted owls, and riparian birds. The Fort Ord National Monument can be found on a former United States Army post which was closed in 1994. The 7,000-acre park is open to visitors throughout the year and offers some of the best trails in the area. 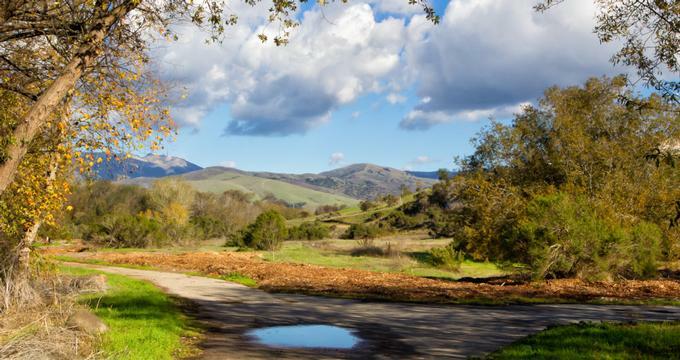 It’s perfect for hiking, mountain biking, or horseback riding, and along the way you’re sure to see some stunning flora and fauna such as wildflowers, coast live oak trees, and a variety of birds. There are several travel companies who provide tours of Fort Ord, allowing you to see many places which are usually off limits to the public such as former training buildings, the former prison, and several other abandoned structures. The Boronda Adobe History Center protects the Spanish Colonial adobe which was built in 1846 and was the home of Jose Eusebio Boronda. It is listed on the National Register of Historic Places and is a California Historical Landmark, so it’s a must-visit attraction when in Salinas. There are several aspects surrounding the adobe for you to explore as well; these include the Little Red Lagunita Schoolhouse which was built in 1897, a World War II Bataan monument, the Filipino Farm Labor Bunkhouse which depicts the living conditions of Filipino farm laborers, and the Robert B. Johnston Archival Vault which has one million pieces and over 80,000 photographs. The Salinas River National Wildlife Refuge is a 367- acre refuge that is filled with riparian habitats, grasslands, beaches, coastal dunes, salt marshes, and saline ponds. It was established in 1973 and is one of the few remaining wetlands that can be found along the central California coast. 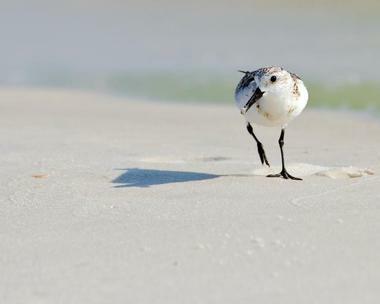 You’ll be able to see and explore so many different environments and come across stunning flora and fauna including threatened and endangered species such as Smith’s blue butterfly, the Monterey spineflower, and the western snowy plover. During spring and fall migrations, you’ll also be able to see thousands of traveling birds making it a paradise for ornithology aficionados. The Salinas Fairways Golf Course can be found nestled in the stunning Salinas Valley, surrounded by the Pacific Ocean and the Gabilan Hills. The championship, 18-hole course was designed in 1957 by renowned golf course architect, Jack Fleming. You’ll surely want to spend a day on the excellent greens, which have been rated the ‘Top 10 Value Golf Course’ in the entire nation by Golf Advisor. Visitors can make use of their extensive facilities such as practice green, practice range, full-service cafe, and PGA-staffed pro golf shop. 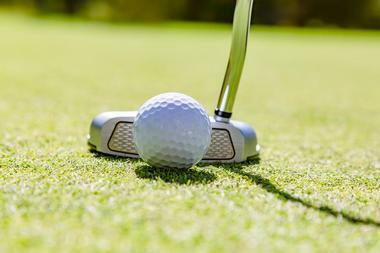 There are several tournaments and events that you can participate in or enjoy as a spectator which are held at the Salinas Fairways throughout the year. 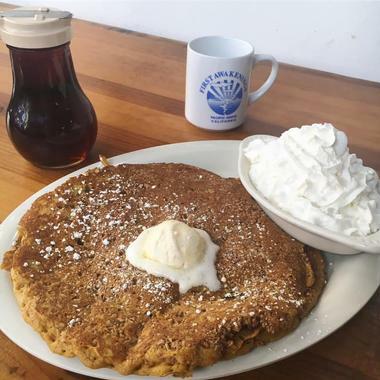 Committed to serving old-fashioned, all-American home cooking, First Awakenings uses fresh, quality ingredients to create delicious, flavorful foods. The restaurant has been serving the Salinas community for over twenty-five years and is a favorite with family members young and old. Indulge in crowd favorites like the Blue Lagoon Burger with bacon and bleu cheese crumbles, the Easy Rider sandwich with pulled pork and chipotle sauce, and the refreshing Asian Harvest Salads which is a combination of grilled chicken, red grapes, walnuts, apples, feta cheese, and Asian sesame dressing. Breakfast is served throughout the day so try their unique offerings like crepeggs or their homemade Belgian waffle. If you’re looking for authentic, delicious smoked barbecue, then there’s no better place than Salinas City Barbecue. 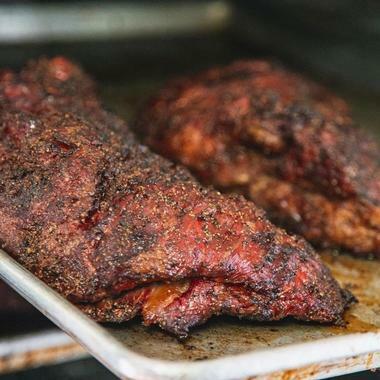 This is not your average barbecue joint; fine quality meats are seasoned with flavorful rubs that are inspired by barbecue capitals such as the Carolinas and Texas. They are then slow smoked for hours over oak wood so that the meat is succulent, tasty, and flavorful for your dining enjoyment. In addition to delicious barbecue, you can also indulge in a hand-cut USDA prime grade rib eye steak, a Santa Maria tri-tip salad with avocado, a pulled pork sandwich, and much more. 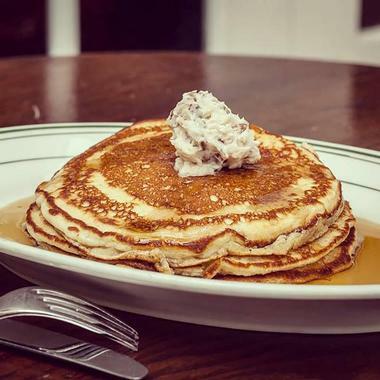 Elli’s Great American Restaurant is renowned for their varied menu as it represents a cornucopia of cultures and culinary tastes which were brought to Ellis Islands by immigrants from around the world. Many of the recipes used for the delicious food that is served were handed down from generation to generation, and to ensure its authenticity, the kitchen staff at the restaurant prepare everything from scratch just like the recipes ask for. You can feast on soups, salads, sandwiches, burgers, pizzas, pasta, Cal-Mex specialties, and entrees such as steak, prime rib, and a crowd favorite, Elli’s Meat Loaf.